Ggl — Cecil R. Webster, Jr., M.D. Cecil R. Webster, Jr., M.D. Dr. Webster is a Harvard-trained, board certified psychiatrist in Boston providing psychotherapy and medication management to adults, adolescents, and children. Dr. Webster completed his general psychiatry residency at the Menninger Department of Psychiatry at Baylor College of Medicine where he was selected co-chief resident. He completed additional training in child and adolescent psychiatry at the Cambridge Health Alliance / Harvard Medical School where he currently supervises trainees in CHA's integrated psychiatry/primary care clinic. Dr. Webster specializes in providing patient and family-centered therapy and psychiatry care. Dr. Webster's areas of psychotherapy expertise include helping the individual define their identity as a whole person in the context of family and ethnicity, gender and sexuality, and culture and immigration. 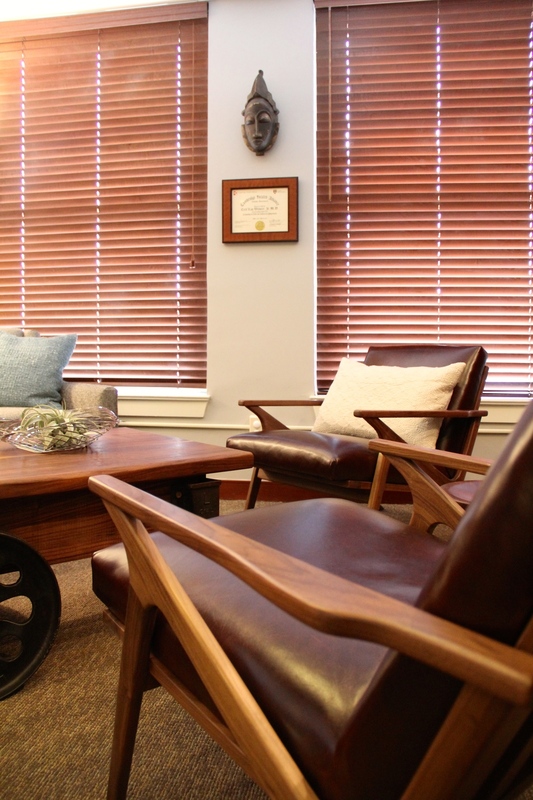 His office prides itself in its comfort and privacy in the heart of the Back Bay. Dr. Webster is a clinical instructor of psychiatry at Harvard Medical School. Flexible lunchtime appointments for area professionals and family-friendly evening appointments available. Convenient to Back Bay, South End, Fenway, Jamaica Plain, Beacon Hill, and Cambridge. Why remain silent to your needs? Deciding to see a psychiatrist is no easy task. Dr. Webster's goal is to warmly ease his patients in a clear and predictable process to help achieve their treatment goals. His philosophy is to help others identify problematic areas in their life and strengthen these areas using short or long-term dynamic talk therapy in addition to medication management when necessary. Biological, psychological, and social factors often play complementary roles in one's mental health. Dr. Webster is skilled at managing each of these areas in careful partnership with his patients. Dr. Webster has experience treating all types of medical conditions, including depression, anxiety, and personality disorders as well as childhood disorders such as ADHD and attachment disorders. His academic interest lay in weaving culturally competent psychiatry, employing and exploring film in psychiatry, enhancing minority mental health advocacy, and the education of medical students, residents, colleagues, and others. With psychotherapy, Dr. Webster's area of expertise surrounds identify formation and related influences such as sexuality, gender, race, ethnicity, and cross-cultural concerns. As America’s youth diversifies, access to mental health becomes more formidable, and world problems focus domestically, Dr. Webster is poised to address unique needs, challenges, and perceptions. Dr. Webster specializes in services for adults, adolescents, and children. New patients are being accepted to his private, convenient, and well-appointed Back Bay office. Dr. Webster has experience treating all types of psychiatric conditions, to include disorders such as depression, anxiety, and personality disorders as well as childhood disorders such as ADHD and attachment disorders. Dr. Webster sees individuals, couples, and families. Dr. Webster's area of expertise in psychotherapy surround identify formation and interpersonal relationship difficulties. This relates to influences such as sexuality, gender, race, ethnicity, and cross-cultural concerns. Kindly give us a call at 617.859.5953 to see if our clinic would be a good fit for your clinical needs and to schedule your first consultation appointment. Our clinic uses a secure electronic medical record. For you convenience, Dr. Webster will instruct how you can enter your demographic information and relevant forms prior to your first appointment on our secure online Patient Portal. What do I need to do before this consultation appointment? Be sure to fill out all clinical and demographic information in Dr. Webster’s Patient Portal. Why the Patient Portal? Information provided in the Patient Portal will be will automatically be available for review before your appointment and incorporated into your records during your first visit. These forms if completed one week before your appointment will be reviewed by Dr. Webster prior to your first visit. Information completed less than 48 hours prior will be reviewed with you during your appointment. If unable to complete these forms within the Patient Portal prior to your appointment, you will be offered these forms during your 50 minute appointment time and may encroach on face-to-face clinical time. Consider what your goals of treatment are. We will discuss them during your first appointment. What do I need to bring? What do I need to bring? Appointment fees are due at start of appointment. MasterCard, Visa, personal checks and cash are accepted. Please see Practice Policies (adult, child) for up to date fee schedule. Dr. Webster is conveniently located at 137 Newbury Street between Clarendon & Dartmouth Streets, no more than a ten-minute walk from most of Boston’s Back Bay. The office is located on the 6th floor, and through the glass doors to the right of the elevators. Limited metered street parking is available throughout the neighborhood. A small hourly paid lot is available at Dartmouth & Newbury Streets. The office is one block north of Copley T stop (Green Line) and three blocks north of Back Bay T stop (Orange Line). Conveniently located on Newbury Street between Clarendon & Dartmouth Streets, no more than a 10 minute walk from most of Boston's Back Bay. The office is located on the 6th floor, and through the glass doors to right of the elevators.